My favourite of the work I produced during the week. Yesterday evening I returned home (completely shattered!) 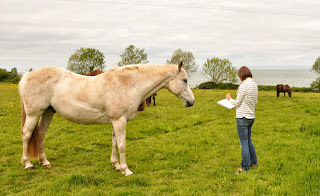 with a car full of paintings after just THE BEST week away in Somerset painting horses from life with The Society of Equestrian Artists. I try and paint horses from life as often as I can, so the opportunity to spend 5 full days painting with fellow artists and fantastic tutors at the beautiful country house hotel Porlock Vale House was one I leapt at! 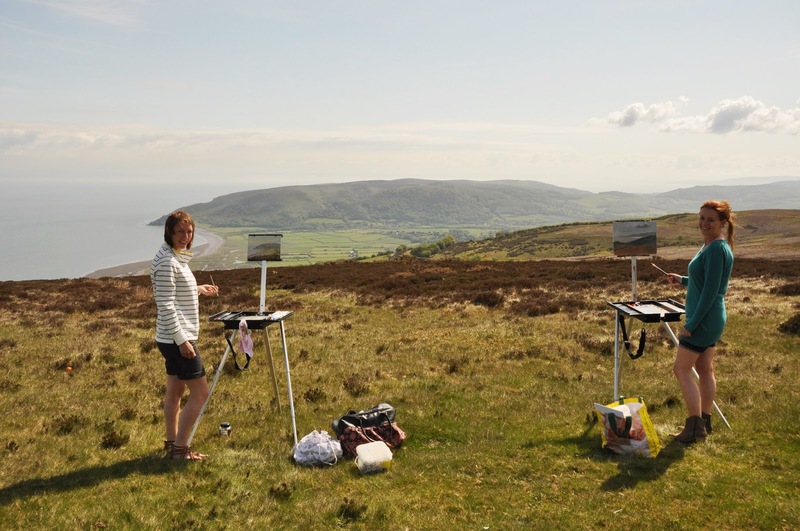 The venue was idyllic, and the sun shone all week for us. 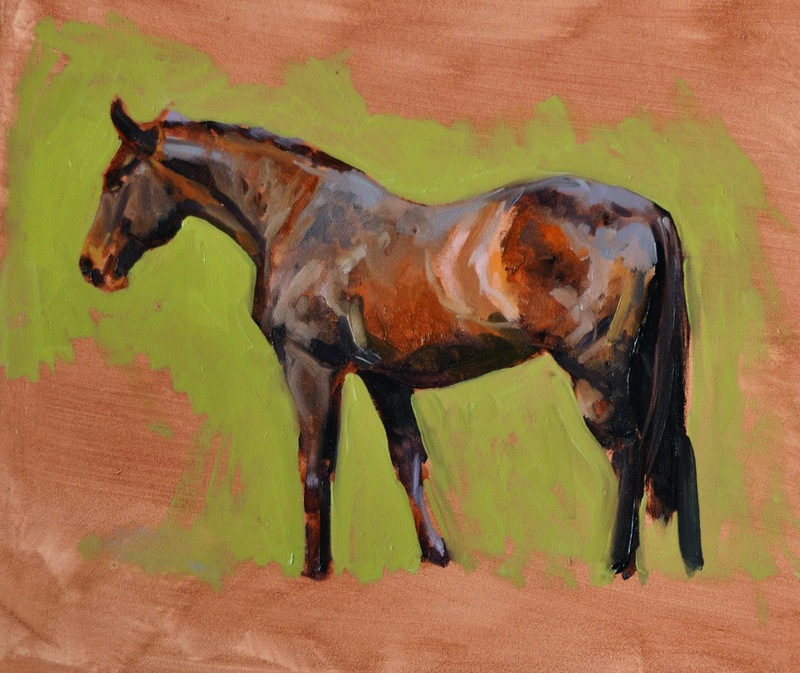 The tuition from Malcolm Coward, Colin Allbrook, Jim Power, and Barry Peckham was invaluable and it was such great fun having a brilliant bunch of artists all staying at the same venue. Don't think I have ever laughed as much! 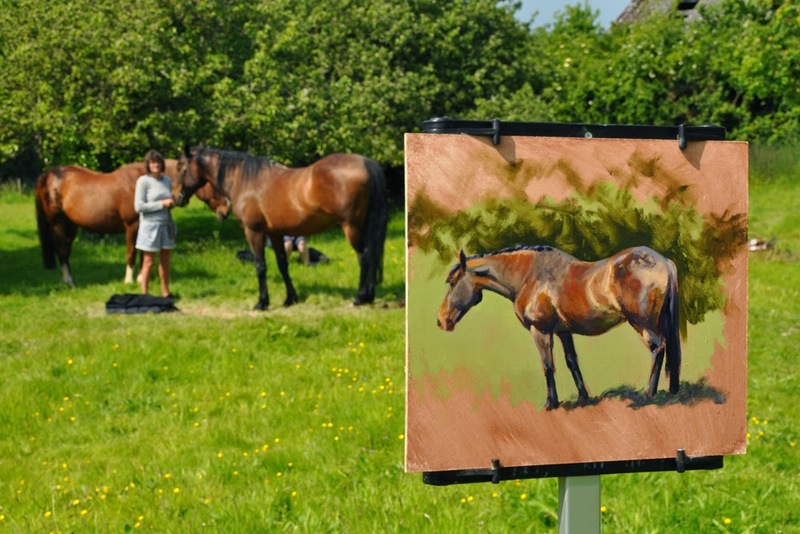 Some of the highlights for me were three of our equine models roaming loose around the pretty orchard we were painting in most days (while the fourth was held still for us), painting the amazing scenery on top of Porlock Hill, wine and conversation flowing in the evenings, and a fantastic bonfire on the beach next to the local pub on the final night. The weather was glorious every single day (soooo lucky!!) and the food (all included in the price of the workshop) was absolutely delicious! I think I produced about 14 paintings over 5 days. None were as good as I'd like them to be of course, some were complete disasters, but I'm proud of how my life painting has developed over the last couple of years and I learnt a great deal painting every single one of the 14. I'm especially grateful to Malcolm Coward who has been so generous with his time and knowledge since I started focusing on this sort of work. If anyone is thinking of going next year then my advice would be to get in quick because the vast majority (if not all!) of those who were there this time were desperate to put their names down for 2014 before they even left Exmoor! Can't thank the organisers Jim and Jean Power enough, the week was a roaring success, thanks to their very hard work. 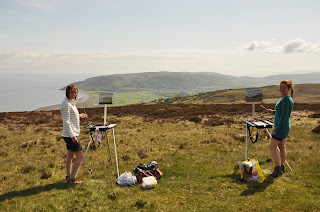 Painting with fellow artist and friend Hannah Merson on Porlock Hill. 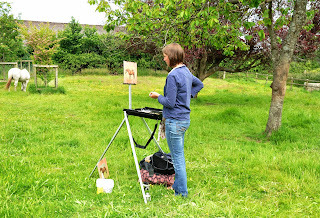 Painting in the orchard using my new Soltek easel- which I LOVE!